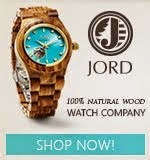 Father's Day is just a few days away and yes, I'm panicking! I still haven't thought of the gifts for the two men in my life... My dad and my husband. I normally don't have problems buying gifts for my loved ones, but I have to admit, these two are the hardest. Both men are vain, meticulous and has lots of requirements when it comes to their personal stuff. So, if you think we, women, are the more vain ones, nope, I totally disagree! I know a lot of men who are so vain. Then Gifts Less Ordinary came to my rescue. I'm so glad I found this because they have so many unique gift ideas. True to its name, their gifts are less ordinary. Here are some of my cool finds. This set includes a personalized set of ready to hang wall art blocks, one treasured map location, one photograph and your personal message. A great Father's Day gift, isn't it? 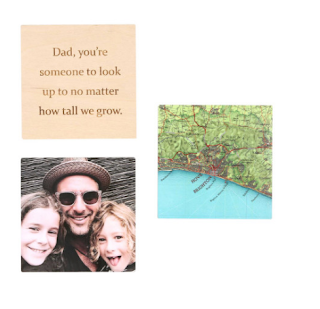 You simply need to tell them your one special treasured map location, send them your chosen photograph and let them know your message for the engraving. 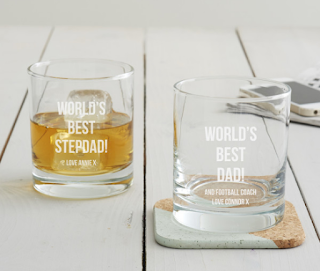 Spoil your dad with a personalized whisky glass this Father's Day! This etched whisky glass will be a permanent reminder of how much he is appreciated and can be used time and time again. 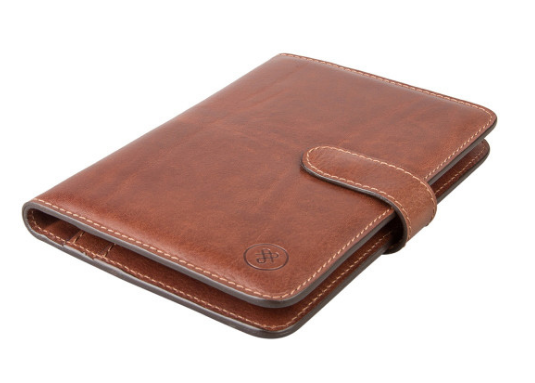 This stunning leather travel wallet is perfect for your trips abroad. With a secure popper opening, and three sections including one clear pocket, this luxurious accessory can organize all your travel essentials with ease. Compactly sized, it can easily fit into a handbag or briefcase, and is extremely useful for keeping all your travel documents at hand. Handmade in the heart of Italy from the finest full grain leather, this luxurious document holder is guaranteed to stand the test of time. 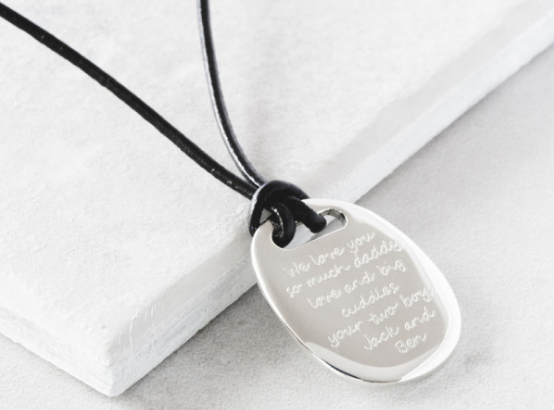 Our beautiful sterling silver hand cast pendant can be personalized on the front and back with a message of your choice. This is all new personalized wooden watch stand was handmade from beautiful English Oak and Amish American Black Walnut. It can be personalized to make a truly unique and timeless gift. The watch holder itself is designed to hold your watch in the correct position so it can be easily read. 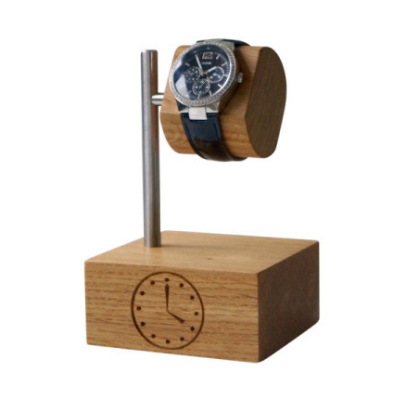 This design turns your watch into a great night stand. So there you have it. Aren't they cool and unique? If like me, you still have no idea what to give your main man on Dad's day, I'm sure you'll find something for him from Gifts Less Ordinary.